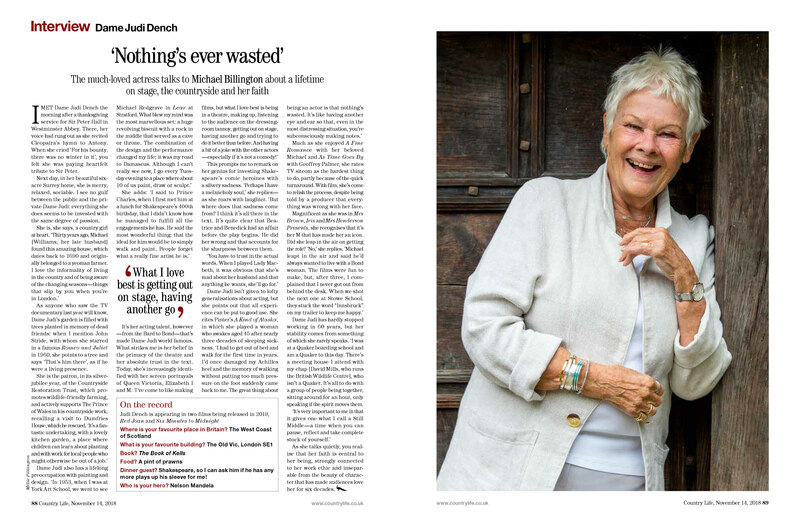 Country Life Magazine commissioning me to photograph Dame Judi Dench, was a lifetime and career highlight. My portrait accompanies a wonderful interview by Michael Billington in the special issue, edited by the Prince of Wales in celebration of his 70th birthday. Dame Judi is every bit as wonderful in person as I had imagined – warm, friendly, charming, interested, humble and very funny. I love how this portrait captures her sparkle and spirit – the essence of our much loved National Icon.